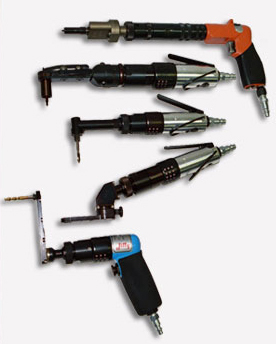 Jiffy Air Tool offers an extensive line of specialty hand-held pneumatic tools for airframe assembly, maintenance, repair and overhaul facilities around the globe. Each tool provides hours of trouble-free operation to make the operator's job considerably easier. 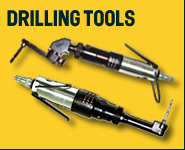 Designed and built to reach into difficult areas for all your "drill and fill" applications. "Simply put" preparation of holes and fastener installation for torque control plain nuts or Hi-Lok type fasteners. The Jiffy product line is 100% designed, engineered, machined and assembled in Carson City, Nevada, USA. A top-notch quality product built to last with fantastic pricing is hard to beat. Team Jiffy is famous for their personal touch and speedy response time. This winning combination keeps our customers satisfied and coming back. Materials make the difference! All attachment parts engineered and manufactured from the highest grade of tool steels available. Jiffy gears are the best in the industry machined from C-350 tool steel, which we believe is the best material on the market. Special coating processes after heat treat make our durable gears superior against the rest. Our high production gear-cutting department enables us to stay one-step ahead of the competition. Jiffy ergonomic air motors are powerful, compact yet lightweight with many series to choose. 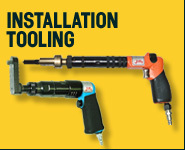 Our extensive Jiffy Modular System features drilling or installation kits built to your exact needs. This is a Jiffy Air Tool exclusive with hundreds of variations not offered by other manufacturers. Specialty tools and non-catalog items offered to established accounts only. Our engineering and sales departments quote a minimum order quantity after approval. We offer this service to our repeat customers who have bought our mainstream tools over the years as a way of saying "thank you" for your continued business. Jiffy consistently goes the extra mile to ensure our customers are getting the best possible tool for the right job!